"World Lottery Info.- Latest & Past Results, Tips, Tickets & Full Reviews"
Global Lottery Review has been put together to help you to understand how the various lotteries games around the world work and to help you to decide which ones you’d best like to play. There are so many lotteries out there that it can become quite confusing at times. They all have numerous benefits, different jackpot habits and odds, plus various methods by which you can play – be that online lottery or from a high street outlet. We aim to guide you through the whole process and give you some clear direction and guidance on how best to play as well as providing you with some history behind each of these games. We’d all love to win that huge multi-million jackpot for sure, that goes without saying. However, many people are unaware that their chances can be massively increased simply by a “tweak” in the way that they actually acquire their lottery ticket entries. This is something that we will also cover here – how you can play and win more often – sharing in these massive prize funds by playing in some of the finest and most effective online Lottery Syndicates that will do most of the hard work on your behalf. Use them to your own advantage by effectively playing with “OPM” other people’s money – sharing the rewards & importantly – cost. 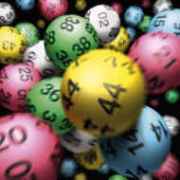 A Lottery Syndicate & What it Can Do For You? We also aim to provide a detailed guide on the best places from which you can buy lottery tickets online. More and more people around the world today are purchasing online lottery tickets and playing their favourite National Lottery games via the internet. With the range of options available these days – to play lottery online is fast becoming the preferred method of playing for many people – saving themselves both time and effort whilst doing so. We look closely at the very best of the online lottery ticket sales companies available and advise on those we believe to be best to play lottery online with such as TheLotter.com & Jackpot.com. With effect from September 24th 2016 the great European Lottery – EuroMillions – became an even more exciting game to play as some EuroMillions rule changes were introduced that benefit all EuroMillion players right across its 12 participating countries. The most exciting change is that the EuroMillions will now be offered with a bigger base jackpot of € 17 MILLION or for players of the EuroMillions UK – £14 MILLION – making it an even more attractive game to everyone with even bigger rollover jackpots. The jackpot for the EuroMillions Superdraw has now also been increased and has a higher starting point of € 130 MILLION. The EuroMillions jackpot cap has stayed the same as before at a stupendous € 190 MILLION but with the new EuroMillions rule changes – this upper limit can be maintained for up to 5 draws. This means that should the EuroMillions jackpot reach its ceiling of € 190 MILLION – it can rollover at this level for up to 4 draws. EuroMillions UK players will now have an extra UK Millionaire Maker draw in every single game – both on Tuesday and Friday – meaning that there will be a total of 4 additional Millionaires created in the UK each week aside from the main draw itself. UK EuroMillions players will also benefit from a UK monthly Bonus Draw and in the last week of the month – Mega Friday has become Mega Week – producing even more millionaires. In Spain – an extra millionaire will be created every Friday due to the introduction of a new EuroMillions raffle called The Million. EuroMillions in Ireland has been boosted with an Ireland Only Raffle with a raffle number printed for every line played that guarantees € 5,000 will be won by 10 players in every drawing. Swiss EuroMillions players now have a 2nd chance draw where their main Euro Millions numbers can win up to CHF 150,000. The single change to the EuroMillions game matrix is the addition of an extra Lucky Star number. This means that the number range of the Lucky Stars has now increased to 1 to 12 from 1 to 11. You can take advantage of these new EuroMillions improvements if you play lottery online either at TheLotter.com or Jackpot.com. EuroJackpot – the most recently introduced Multi National Lottery game was launched right across Europe on March 23rd 2012 in a total of 8 countries. Now played in a total of 17 countries – Italy, Spain, Germany, the Netherlands, Denmark, Finland, Estonia, Slovenia, Croatia, Norway, Sweden, Iceland, Latvia, Lithuania, Hungary, Slovakia & the Czech Republic all play host to this new Pan European lottery which is drawn every Friday evening in Helsinki, Finland. Rivalling EuroMillions for the size of its huge jackpots – the EuroJackpot Lottery has already twice reached its jackpot cap of € 90 MILLION and we are excited about the prospect of this being potentially raised some day causing a big stir in the lottery world. With 12 separate prize categories and jackpots that commence at a minimum of € 10 MILLION and can grow up to € 90 MILLION – the Euro Jackpot is one of the 2 biggest European lottery games and also one of the world's largest with an even larger reach of potential players across its member countries than EuroMillions. Players from around the world and not just in the participating countries can play EuroJackpot and buy lottery tickets online through online lottery ticket sales companies like TheLotter.com. Great news if you play the huge Italian Lottery – SuperEnalotto. 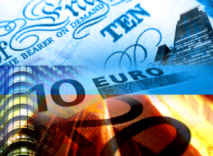 The latest global lottery syndicate to have been launched is the Italian SuperEnalotto Syndicate from PlayLottery.com. If you play SuperEnalotto in one of these Italian Lotto syndicates you will share a whole 85 entries into each SuperEnalotto draw. Every SuperEnalotto Syndicate from PlayLottery.com is guaranteed to match at least 1 number in each draw – meaning that you only need to match 2 further numbers to win a cash prize. So – on Tuesdays, Thursdays and Saturdays each week you can now play for one of the BIGGEST European lottery jackpots and get 85 entries into every Italian Lottery – Super Enalotto draw. 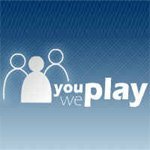 YouPlayWePlay have been around now since 2011 and have firmly established themselves as a strong player in the Lottery Syndicate market and with highly competitive prices. YouPlayWePlay lottery syndicates have grown strongly since their inception and have many thousands of very loyal players from all across the world enjoying their syndicate memberships & benefits. The lottery syndicate options offered by YouPlayWePlay were long anticipated at their launch and the success they have enjoyed since has been huge with their VIP package & Free Lotto entry. EuroMillions, UK Lotto, Thunderball and Health Lottery syndicates are available and you can select your own numbers. In fact – You Play We Play are the ONLY lottery company to offer separate lottery syndicates for all 4 of these popular lotto games. The world's first Multi-Lottery syndicates were offered by Love My Lotto back in December 2010 at its launch and have just grown in popularity ever since. Every 4 weeks with Love My Lotto you will get up to 80 entries into the EuroMillions, up to 160 entries in the UK Millionaire Maker EuroMillions Raffle, up to 80 entries into the UK Lotto, up to 80 entries into the UK Lotto Raffle and up to 28 entries into the £1 Million Daily Draw. As seen on television advertising throughout the United Kingdom – these Global Lottery Syndicates offer great value for money. With LoveMyLotto you can increase chances of winning lottery games by playing in a unique multi lottery syndicate. You can share in the strength in numbers and enjoy the leverage of vastly enhanced buying power in some of the top world lottery games without having to share your lottery win with too many people.